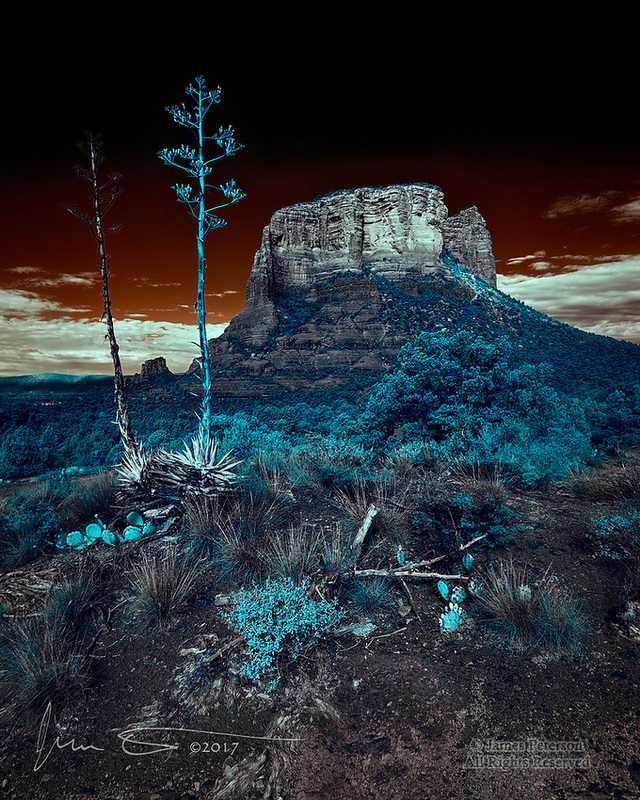 Courthouse Butte with Agaves (Infrared) ©2017 James D Peterson. Seen from the Rabbit Ears Trail, this Sedona landmark is bathed in ethereal morning light beaming through broken clouds. Castle Rock and the Black Hills can also be seen in the distance.